Former MLA Yalamanchili Ravi said that she did not have proper respect for TDP. He said that he had trouble with some others in TDP. At one stage he said that he was in TDP or not. Saturday is in the presence of YS Jagan. 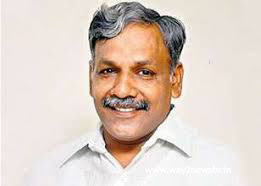 At 9 o'clock in the morning, He announced that he would join the party in the presence of Jagan at Kanakadurgamma barrage. That is why he does not want to be in a lack of respect for the TDP. He used to use his ticket and said he was cheating. He said he would work in the YCP without any disputes. In 2004 and 2014, Yelamanchili Ravi criticized him for breaking his chances. On the other hand, the party is making huge arrangements to him for joining the party.